DESCRIPTION: GREAT OPPORTUNITY TO BUY A 4 BEDROOM, 1¾ BATH FAMILY HOME ON A CUL DE SAC STREET IN THE HIGHLY DESIRABLE COMMUNITY OF CLAREMONT, CALIFORNIA. THE HOME FEATURES AN OPEN KITCHEN WITH DISHWASHER, WALL OVEN AND COOKTOP. DINING AREA IN KITCHEN. STEP DOWN LIVING ROOM WITH FIREPLACE. OVERSIZED 2 CAR ATTACHED GARAGE WITH STORAGE SPACE AND WASHER/DRYER HOOKUP. CENTRAL AIR CONDITIONING & HEATING. ENCLOSED PATIO MAY NOT BE PERMITTED. SOME ROOF DAMAGE. GREAT FIXER OPPORTUNITY. 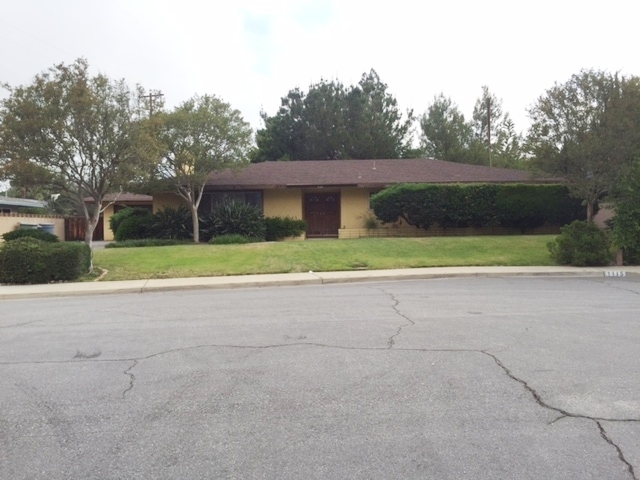 CLOSE TO PARKS AND 210 FREEWAY. NO COURT CONFIRMATION. LOT SIZE: 10,299± SQ. FT.